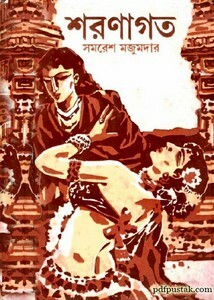 Sharonagata by Samaresh Majumdar Bangla boi pdf. The story time during of the period of two hundred years later of Goutam Buddhua's Great Nirvana. The ancient Indian Magadh kingdom. Buddha's philosophy heavily discussed, felicitated. At that time the rude, brash children were left to the purification monastery in the deep forest. A motherless doughter of Surgeon 'Trishya' who was left such a monastery. And here she meet with a saucy prince who also came here for purification. After then.. read the historical fiction book as pdf which has written by Samaresh Majumdar. The ebook has 122 pages with 7mb size.